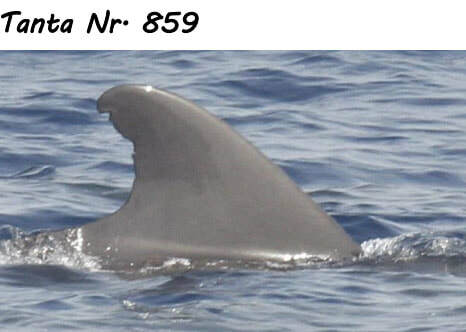 Pilot Whales live in cohesive long-term social units called pods. The size of a pod usually varies from fewer than 5 to about 20 individuals. 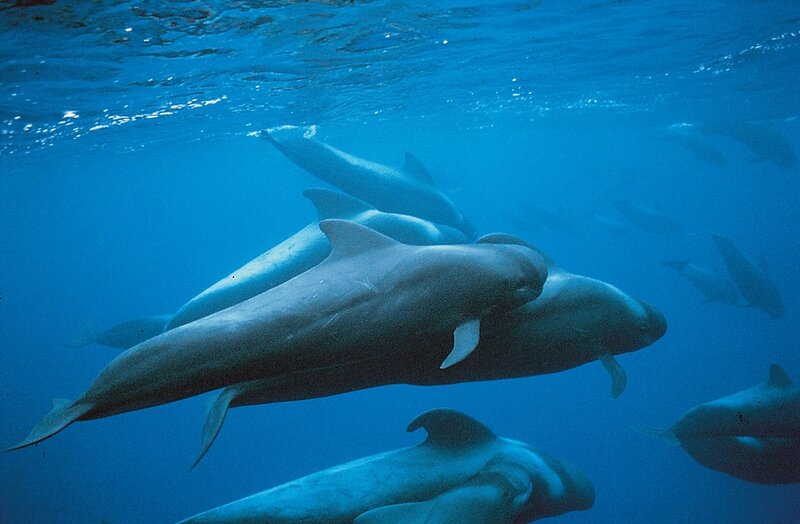 Pods usually consist of males, females, and calves of varying ages. Females and juveniles generally remain in the center of the pod, while adult males swim at the wings. The most fundamental social units in a resident pod are maternal groups. A maternal group consists of a mother and her younger offspring. One or more maternal groups may travel together in a ‘subpod’. Whales in a ‘subpod’ are likely to be closely related; a ‘subpod’ contains mothers and daughters, and probably sisters and cousins. 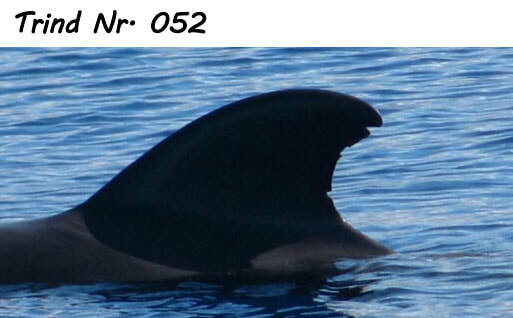 Indio’s distinctive fin makes her Tenerife’s most famous pilot whale, called Indio (‘the indian’) because of the feather shaped distortion of her dorsal fin. Nobody knows how this came about, a boat collision, shark attack or perhaps something she was born with? 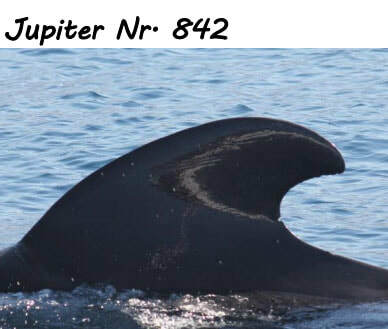 Pilot whale fins regularly change with new nicks and scars appearing throughout their lives, Indio is a classic example of this; two years ago she was spotted having seemingly lost the entire section of fin that was hanging from the back! The AWF’s records of her date back to 1997 when Mendo was the matriarch of her pod she is now a matriarch herself, her pod occupying the waters to the south, often spotted in large groups of juveniles and other females. A key member of Indio’s pod. Matriach of a pod that occupies the waters off of puerto colon, the most frequently seen pod, possibly because of their territories proximity to the whale watching boats area. 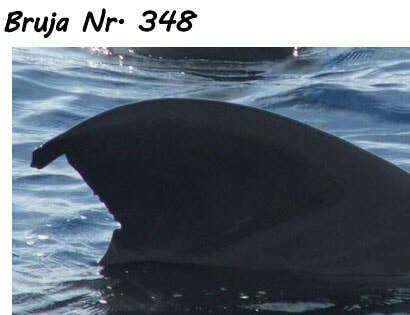 She is so called because of the witch’s hat shape of her fin, Bruja meaning witch in Spanish! A female frequently seen member of Bruja’s pod. A member of Bruja’s pod, frequently sighted with Trind. Jupiter is the bull male of Bruja’s pod. 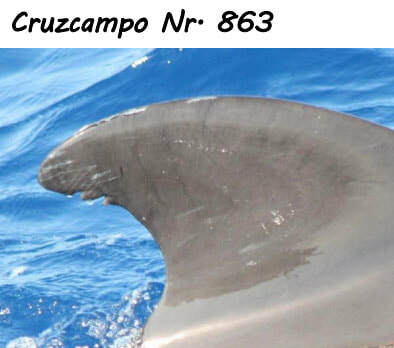 ​Been on a whale watching trip in Tenerife? Your Finshots could help us. 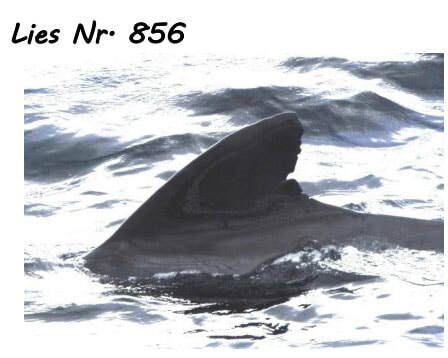 If you have seen any of these short fin pilot whales or their family members send us your photos of their dorsal fins so we can add the our fin ID database.